Pros: We really like it. had them for awhile. Pros: Easy navigation and keeps my sales guys on track with the daily tasks. It has been down sometimes a few days at a time. Cons: Integrity of reports is questionable, I don't like the daily work plans, email deliveries are not reliable. They are working on it, we'll see. Easy to navigate, easy to teach newbies to use it. Pros: Sales guys love it, keeps them on track and also sends them organic leads it sifts through. I really like this CRM, it's efficient and smooth. Pros: I really like this CRM, it's efficient and smooth. Cons: We have 6 dealerships, some of which are open on Sunday. If the CRM goes down, we can't operate. There is no support on Sundays. 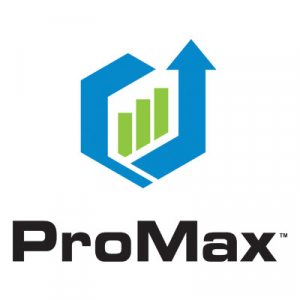 Support is great for ProMax. Pros: After the upgrade it was running a little slow, technical issues. Support has been great to correct this for us. Does not integrate well with our other software platforms. Cons: We have had problems with smooth integration regarding our other platforms. There have been a few glitches. Works perfect all the time! Pros: Easy to navigate and use, no glitches. Manages tasks beautifully. Definite 5. Would rate higher if I could. Pros: Great CRM, great company to do business with. Perfect CRM and great support staff. Pros: Perfect CRM and great support staff. Everything your Sales Reps need, all on a mobile device!